What is your debt-to-income ratio, and why is it important? Home / Blog / Qualify For Home Loan / What is your debt-to-income ratio, and why is it important in qualifying for a mortgage? What is your debt-to-income ratio, and why is it important in qualifying for a mortgage? Qualify for a home mortgage: Debt-to-income ratio. The debt-to-income ratio is one of the main criteria lenders use to determine whether you are qualified for a mortgage loan. It is a good indicator of your ability to repay the loan in the future. 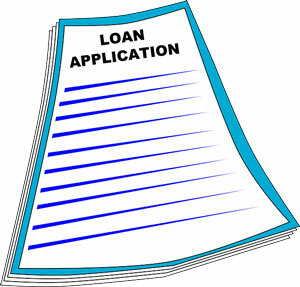 There are two ratios that the lender considers. One takes into account only the expenses related to housing and is called the front-end ratio. The other considers all monthly obligations and is called the back-end ratio. The back-end ratio is the more important of the two ratios to the lender. The front-end ratio is calculated by dividing the total of the mortgage payment (principal and interest) plus homeowners insurance, taxes, homeowner’s association fees (if any) and mortgage insurance (if applicable) by the borrower’s monthly gross income. Lenders like to see this ratio at 28% or less on a conventional loan and 31% or less on an FHA loan, but exceptions may be made for higher ratios. The back-end ratio is calculated by dividing the housing expenses included in the front-end ratio PLUS all other monthly obligations that are ongoing such as car payments, student loan payments, credit card minimum monthly payments and any other contractual obligations that typically appear on the borrower’s credit report by the borrower’s gross monthly income. Lenders typically like to see a back-end ratio of 36% or less on a conventional loan and 43% on an FHA loan, but exceptions are often made for higher ratios when there are compensating factors. Another item included in the back-end ratio would be any expenses associated with owning other properties, such as the mortgage, taxes and insurance on that property – whether it is a second home or investment property. If the property is rented, the lender may allow you to offset those expenses with rental income from the property as long as there is a history of it being rented and the rental income is reported on your most recent tax return. In some cases, if the property was purchased subsequent to the most recent tax return, the lender may allow rental income from an existing lease, but this is handled on a case by case basis. While Bob’s back-end ratio exceeds the standard allowable ratio of 36%, in practice this loan would most likely be acceptable to the lender as they consider compensating factors, such as cash reserves, stable employment, strong credit score, etc. Although these ratios may be acceptable for underwriting the loan, I always encourage the borrower to consider a few things when reviewing this ratio. Let’s look again at the components of the back-end ratio. #1 Do you notice any monthly expenses that are missing? Water, electricity, cell phone, dining out, car insurance? Although most borrower’s spend money on these amounts each month, they are typically not considered as part of the debt-to-income ratio (unless they are paid for by credit card and included in monthly minimum payments or part of an HOA fee). Now look at income. This amount is GROSS monthly income, not what you bring home each month in your paycheck. So what does this mean? It means that these ratios really do not reflect how much of your monthly available CASH you will be spending each month. Expenses may be understated as they don’t include other everyday cash outflows, and income doesn’t reflect actual cash available to you after taxes. So, it may be wise to consider purchasing a home that does not require you to spend up to the upper limits on the debt-to-income ratio, even if it meets underwriting guidelines. It is important that you consider your lifestyle and prepare a budget that reflects your complete monthly outlays of cash in relation to the cash coming in to make sure there is not a shortfall. The debt-to-income ratio is not intended to be a budget. #2 Another thing I ask borrowers is to consider is how much they are currently paying on their monthly housing expenses. I often see borrowers who are spending $800-1000 monthly in rent but are buying a house that will require payment of $1400 -$1600 in mortgage payments, but they have little in savings. This tells me they are not living on a budget that allows for an extra $600 in payments each month. Before buying a home, I recommend that borrowers set aside the difference between what they are currently paying and what they are expecting to pay going forward. At a minimum, this will help build up some additional savings for closing costs and down payment, but more importantly it allows them to see if they are going to be comfortable with the new payment amount.